I am so excited! I have begun to plan for my very first garden. 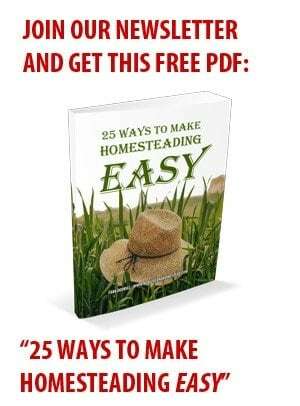 After asking my homesteading friends a bunch of questions, and doing lots of reading online and in my books, I am ready to jump into the game and see how I do. I still haven’t exactly planned out my garden layout. I’m a procrastinator like that. I guess I’ll plan it all out, and draw a layout of where everything will go before I do my planting. I did, however, decide on the sunniest spot in our yard for the plot. I’m very fortunate to have a wonderful gardening mother-in-law who has lots of gardening tools, including a tiller that my husband was able to borrow and use to till up my garden area. This is my side yard, where I chose to plant my garden. I’m hoping the trees won’t shade it too much. My cutie-pie husband working hard for me. He did all the tilling. The area is about 30’x50′. I have no idea if that will be big enough, or if it will be too big for me as a beginner. We’ll see! With me being due in July, it might be hard to tend the garden during harvesting season, and deal with a newborn. But I’m going to try to do all that I can. I am so ready to start living more self-sufficiently, and this is step one on my list. I finally got my seeds in the mail today too! I am so anxious to get them planted. I know it will be a little while longer until planting season though. As I’ve mentioned before, I ordered my seeds from Heirloom Acres Seeds. I chose them over other Heirloom seed dealers because they are a small Christian family owned business, and I really want to support their mission. Since I’m new to this, I can’t give my opinion on their products yet, but my friend Hope has used them and has been happy with what she has ordered. *UPDATE: Friends, I do not recommend Heirloom Acres Seeds. This company has had multiple complaints filed against it, and is rated an “F” by the BBB. I still have not received all of my seeds, nor a requested refund 12 months after ordering from them. I will never order from them again, nor would I recommend doing business with them. I am extremely disappointed. Sooo, hopefully I can handle all of this. I am so ready to be able to walk out into the garden and pick food for our table! I’m going to have to figure out the best (meaning cheapest) way to keep the deer and rabbits out. We have tons of rabbits around here. Any suggestions? Anyways, I’ll be journaling my newest endeavor, for all of you newbies like me. Hopefully I can give some encouragement and insight to some of you, and learn some great tips from others more experienced! If you have any good advice to share, or tips that you had to learn the hard way, I’d love to hear from you!! Am I the only man to see your site and respond? LOL… most of my men readers rarely comment 🙂 Though I always love hearing from you, and getting your perspective!! Thanks for taking a moment to share some helpful info. We are beginning our journey to self sufficiency and I loved reading about your first year. Can you get the pics fixed on this page? I would love to see them. Oh my goodness!! It looks like my site was hacked and my images there were replaced with ads. UGH!!! Thank you for pointing that out, Ramona. I’ll get it fixed asap. Thank you SO much for your blog! I have been strongly impressed I need to start a garden this year and start now! So I prayed like crazy to know how to go about this. I’m a busy mom and already feel stretched. He said to work during my DD nap. Ok, now what? – the next day I found you. I’m going out today and tilling my garden and then take a look at seeds. I identify with much of what you’ve said. Thank you for being an answer. 8′ by 4′. I know my limits with all of my flower beds, so this small area should be easy for me. I will try the same seed company. I have a horrible time with chipmunks and would appreciate any proven knowhow to get rid of them. Good luck, and I’ll be reading. I’m starting my first garden too, and I have the help of my veteran brother who has a dairy farm and sells his produce at the local farmers market. He said that if you wrap some human hair in cheesecloth and hang a few around the garden(I guess depending on how big your garden is), the deer will stay away. Weird I know. He actually doesn’t have to worry about deer because he has an outside dog who will scare them off. I have been gardening for about 40 yrs. now and will be happy to answer any questions that you may have. Hopefully, you will be gardening organically. A small fence will keep out rabbits but for deer you need something about 8′ tall as they can jump even a 4′ fence. They have some new “invisible fences” made out of mesh type material that is supposed to be very good and not as expensive as chain link, which was the only other option besides wood privacy fences of the past. I have a small garden every year, Im not sure of the measurements, but I always pack lots in it. You’ll not be sorry about the cantelopes you selected, they are the best!! I bought another kind one year and they werent nearly as sweet as the Hales best. enjoy!! My first garden was about that big. I was completely overwhelmed, but I had no experienced friends to help me and no local family, and my husband was a full-time student at Purdue in addition to not being terribly interested. Plus, I had done no research whatsoever. Give the support that it looks like you’ve got, I’ll bet you can handle it pretty well. Especially since you are expecting in the middle of the season, I highly suggest that you look into lasagna gardening. I tried it out last year & it survived the neglect that I dished out with 2 three week trips, and still produced so much that we had a hard time eating it all. Plus, then you’ll never need to till again: just keep the mulch layers coming! It makes some beautiful dirt. Good luck! Wish I had a nice garden spot like that. My current garden is sooo much smaller than that, and in addition we’re trying to move, so I don’t know if I’ll do anything at all this year. It’s a bummer. Wow! That looks AWESOME. What a great piece of land. I would like to do that but it’s Arizona, property space, and time seem to get in the the way. Maybe someday! i can’t wait to follow your venture! i always plant a garden but usually grow more weeds than anything else! 30 x 50 is HUGE. You are likely to be overwhelmed. Don’t fret, though. If you don’t get it all harvested, the world won’t end! I’d strongly encourage you to MULCH, and mulch heavily, otherwise you’ll go nuts about weeds. Grass clippings work great, as does newspaper, or cardboard boxes, or leaves (if you have them). Anything to cover the soil between desirable plants so weeds don’t grow there. Plus, all of the above will decompose and improve the quality of your soil. Best wishes with all of your growing (including that sweet baby)!